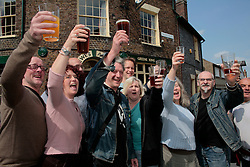 UK ENGLAND LEWES 20APR07 - Patrons celebrate their victory at the Lewes Arms, a local pub owned by Norfolk brewery Greene King. 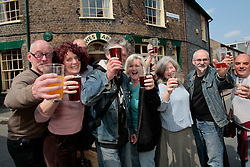 Local residents today won an unusual victory by forcing the pub's owners to reintroduce Harvey's Bitter beer, a local beer brand that was withdrawn from sale four months ago. 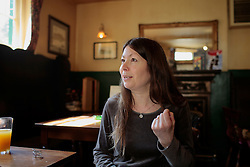 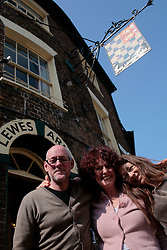 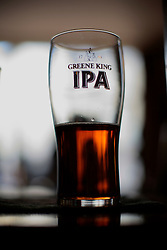 The Lewes Arms, a lively pivot point for community life, became the target of a determined campaign by locals who organised a boycott and picket lines to get their favourite beer reinstated by Greene King.